Open plan offices and public buildings, CCTV, online profile sharing, cameras built into our laptops; never has it been easier for us to connect, but what about when we want to withdraw? There are now 21 cities with populations larger than ten million, and it is predicted that there will be many more in the future. It is essential to continue to develop new ways of allowing people to comfortably co-exist in these increasingly densely populated environments. 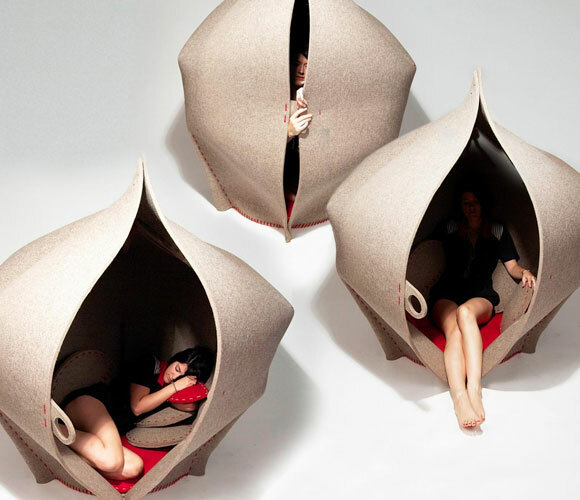 By creating an enclosed space HUSH provides a personal retreat, a luxurious escape into a dark, hushed, natural space in the midst of a busy hotel, airport, office or library. HUSH provides a quiet space in an age of exponential population growth, where privacy and peaceful respite is an increasingly precious commodity. 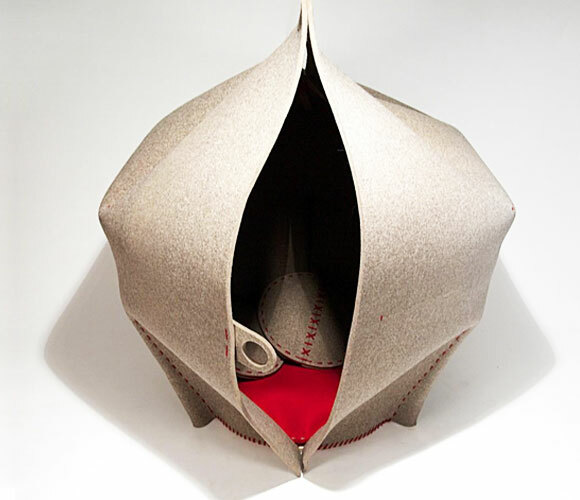 The main body of HUSH is cut from a single piece of 10mm industrial felt made from 100% recycled PET. Furniture is one of the best places for recycled plastic as it stop it breaking down and polluting the oceans with micro-particles. 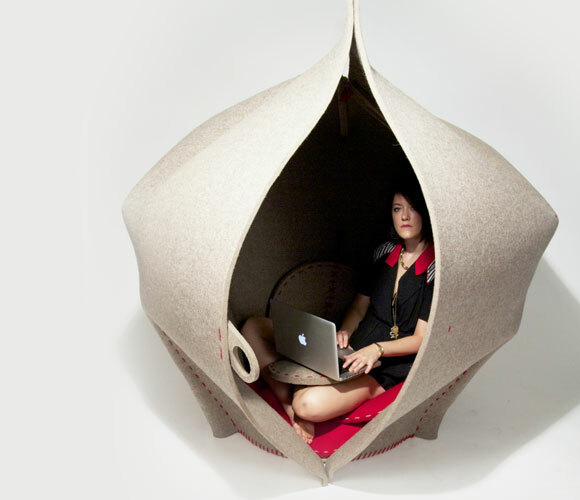 The recycled PET felt offers long lasting, easy clean, sound absorbing, softness. HUSH is manufactured in Newcastle by Raskl Design, by skilled craftsmen and women, supporting and revitalizing Britain’s ancient heritage of makers. HUSH was selected by Kevin McCloud as a “Green Hero” for Grand Designs Live.